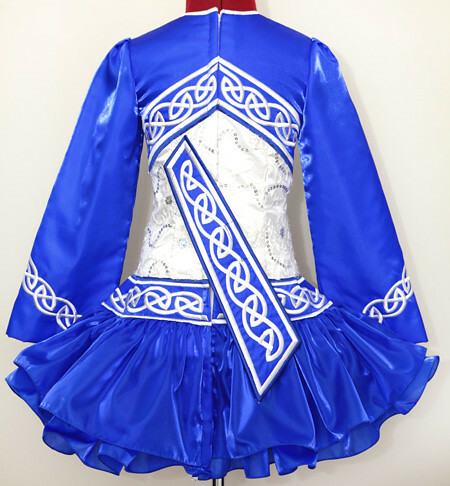 Centre front dropped waist to hem: 9½"
Total back length (top of zipper to hem): 28½"
Sapphire blue twinkle satin sleeves, top bodice yoke and dropped waist bands with classic white Celtic embroidery design. Pretty white floral lace with silver holographic sequin in centre bodice. 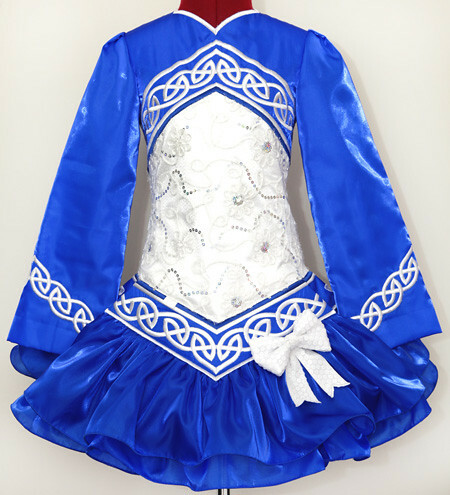 Modern style skater skirt constructed from two layers of matching blue twinkle satin. Stiff asymmetrical shawl with matching embroidery design. 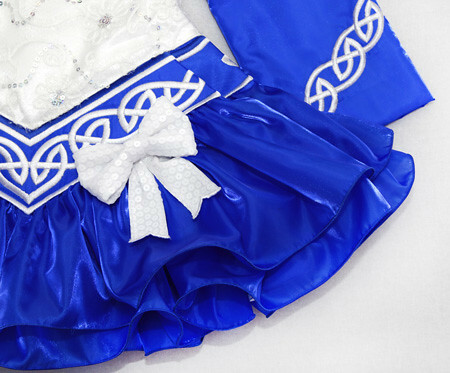 Blue and white striped cotton underskirt lining.